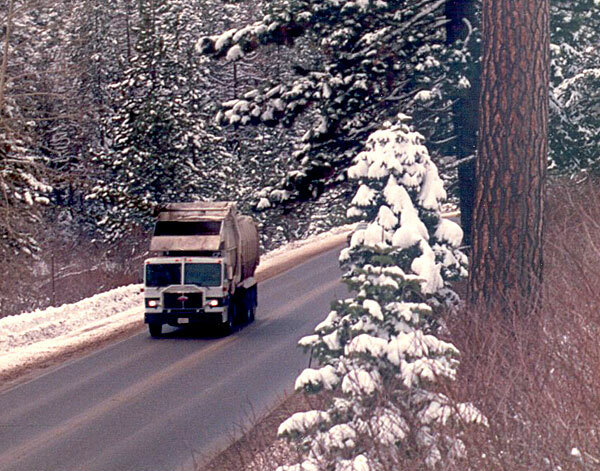 Tahoe Truckee Sierra Disposal is a family owned and operated company. The principal owner, Silvano Achiro, comes from a family involved in the waste industry since 1896. Italy was a very poor country, which prompted countless men to travel to America in hopes of providing for their families. Few people were willing to haul garbage, but many Italians ignored the discriminatory slurs and took what work they could. Achiro’s grandfather, Rafelin DeMattei, was one of those men who made the trip to America. In those days, when one boarded a boat to America it could mean the ship was bound for North America or South America. Some relatives ended up in Argentina, where their descendants remain today with a large number of fellow Italians whose forefathers similarly sought freedom from economic strife. Rafelin ended up in San Francisco where he worked for some time as a salvager, eventually returning to Italy with his earnings. His initial work was on a farm and the common practice then was to simply bury the garbage in the back yard. After the big earthquake and fire, Rafelin returned to San Francisco in 1906. The reconstruction of the city and its continued growth meant restricted space, which in turn meant that people could no longer bury garbage in their back yards. 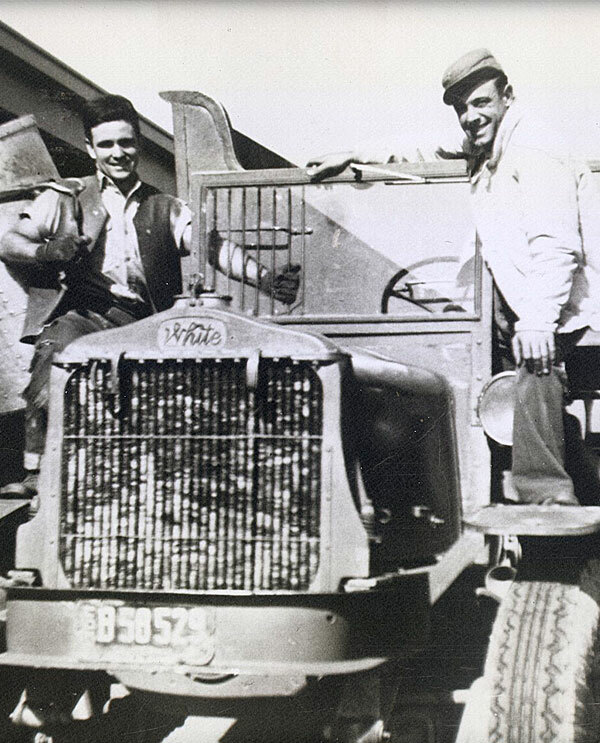 Various small garbage collection companies were formed to capitalize on the growing need for refuse removal services. With all companies, garbage was collected from customers, hauled by horse and cart, and dumped in the bay. 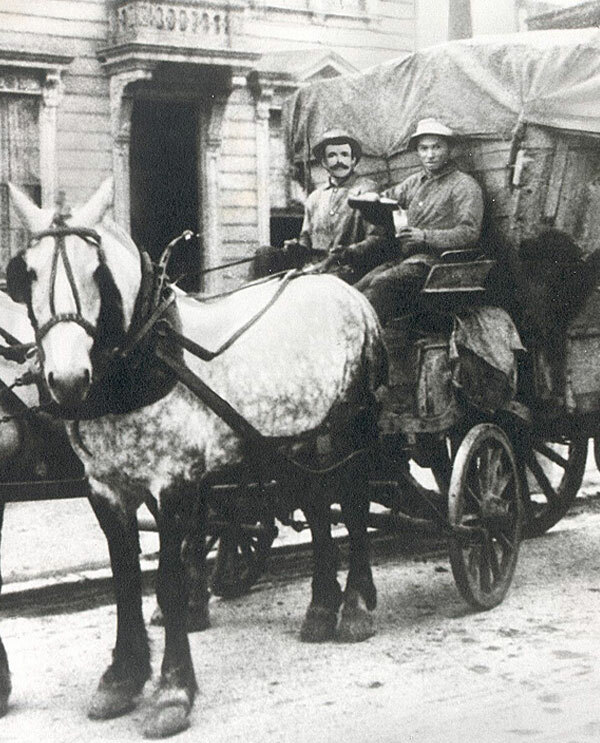 In 1911 Rafelin was one of four men who founded the San Francisco Scavenger Company, consisting of the four partners, four horses and two carts. Rivalries were fierce between the various collection groups. Customers were frequently stolen and fighting was not uncommon, especially at group events, such as picnics, where alcohol was present. In 1916-17, in efforts to bring order and organization to the industry, the many collection groups merged as a unified force in the form of two companies, the Scavenger Protective and the Sunset Scavengers. A short time later, Rafelin sold his shares and returned to Italy to live out his years. Italy remained poor in the nineteen-fifties, having seen the ravages of two world wars and minimal economic recovery. Silvano Achiro opted to seek opportunity in America, following in his grandfather’s footsteps as his older brother and sister had already done. The decision was not easy as Silvano was a budding soccer star on the Sampdoria team and nothing was guaranteed in America. Also, as he boarded the ship in 1954, he truly didn’t know if he would ever see Italy or his parents again. When he arrived in New York knowing no English, he was immediately cheated by a New York taxi cab driver of all his money. He found his way to San Francisco and began working for the Sunset Scavenger Company. In San Francisco, the regular workday began at 2:00 a.m. and averaged ten to twelve hours each day, first collecting garbage and then collecting payments. To service alley cans Silvano would first kick the containers to scare the rats, and then jump to a pressure stance between the walls while the vermin ran out. When safe, he’d let himself down and place a large canvas tarp on the ground to dump the material in to more quickly haul it back to the truck. The truck had an open box in the back with stairs on the front. Loads of garbage had to be carried up the stairs where they were dumped in the open box and jumped on in order to compress the load. The vehicle was controlled with a large friction lever for braking, which could generate some tense moments with a full load on the hills of San Francisco. The truck would be filled twice and dumped into the bay each time as was customary until the late sixties. After the route and a return home for dinner, workers were expected to go door to door for bill collection in the evenings, when people were home. “Come back tomorrow” they’d always say. Many of the rural properties with acreage continued to bury waste in their back yards, but at that time the plastics and packaging materials that we have now did not exist, so materials basically became compost. In 1960, Silvano married and traveled with his bride Carol to see the Olympics and the Tahoe area for the first time. 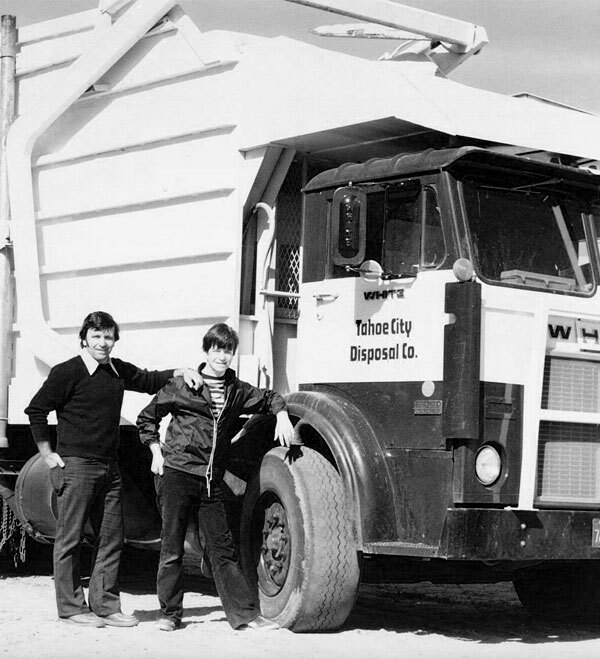 When in 1964 an opportunity to purchase Tahoe City Disposal presented itself, Silvano and Carol borrowed and scraped together everything they had to make the purchase with partners Lawrence and Emma Giannini. The company had three vehicles, three men and a handful of customers. Many people buried their garbage in the back yards or used one of the many small dumping areas within the basin. Even so, there were no bear problems. During the winter, the snows were big and the customers were few. Sometimes the garbage had to be left in the truck until the storms had passed. Many times Silvano would play the part of midnight mechanic, laying on a piece of cardboard over the frozen mud in order to service the truck before morning. Carol worked the office, answering the phone and doing the billing by hand, with her daughter Mary on her lap and son David toddling nearby. Her “computer” was a large “Rolodex” wheel about three feet in diameter, which held hand-written cards for billing. People would call at all hours of the day and night. They might ask for pick-up and not have an address, instead giving directions such as “Turn right at the house with the green roof, then left and we’re the house by the big tree.” The work was hard, but the business grew slowly. The late sixties brought first mention of “ecology” and recycling, but little was done in the waste industry. Some people naturally reused what they could, but most garbage was buried and covered each day. Witnessing the waste of food from the local grocery store, Silvano purchased a pig and fattened him from the dairy spoils. But policies changed and soon the grocery stores were sending the materials down the disposer and into the sewers. Silvano attempted composting some materials, but the cold Tahoe climate and its short seasons proved too impractical for a successful composting program. As residents and visitors slowly increased in the Tahoe area, so did problems with bears. Today, groups have formed to advocate responsible disposal of trash through the use of bear-resistant metal sheds. In the winter of 1968-69, Silvano Achiro, Jim Scribner of Placer County Environmental Health Department and Al Marino of the Placer County Public Works Department, strapped on their snowshoes and trudged from Highway 89, following Cabin Creek, up the mountain a mile and a half, to view a section of US Forestry as a prospective dump site. Following a lengthy approval process, Achiro leased the land and began construction shortly afterward. Placer County Eastern Regional Sanitary Landfill was officially opened in 1973. The new dump site became the central landfill for the North Tahoe/Truckee area. In the early nineties, both the State and Federal governments imposed tighter mandates on the solid waste industry. With “Subtitle D,” the federal government’s requirement to line landfills and treat leachate, effectively put an end to many smaller landfills. Concurrently, California’s AB939 required increased diversion of recyclable goods from the waste stream. In response, the company constructed a state-of-the-art Material Recovery Facility to facilitate closing of the landfill in 1995. The facility was the first of its kind to be built at its elevation. Since then, no putrescible wastes have been land-filled at the site. The MRF/Transfer Station facility continues to process approximately 50,000 tons of wastes annually in efforts to divert recyclable materials from the waste stream. The company has grown over the years: it now employs over 100 people, maintains records on approximately 22,000 customers, and has a fleet of over eighty vehicles and heavy equipment pieces. It constantly seeks innovative ideas for the safe, responsible, and efficient collection of garbage. 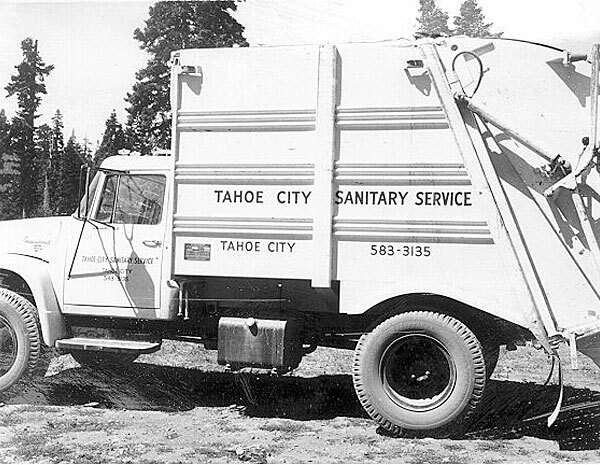 Tahoe Truckee Sierra Disposal was one of the first in the industry to institute computerized recordkeeping for the collection routes. Despite the growth and the complications of a changing industry, the company continues as an independent operator, striving to maintain Silvano’s small family business approach, focusing on excellent customer service in the community it calls home. 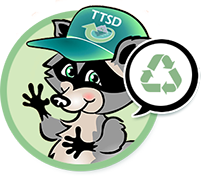 Tahoe Truckee Sierra Disposal is dedicated to providing our community excellent service at a reasonable cost in a family-friendly manner. We are committed to keeping our Sierra environment beautiful and sustainable through safe and responsible operations. ©2019 Tahoe Truckee Sierra Disposal. All Rights Reserved.